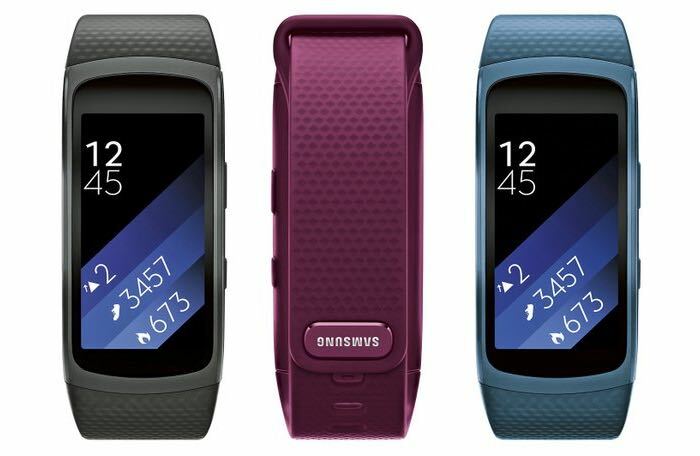 Yesterday we heard some details about Samsung’s latest activity trackers, this included the new Samsung Gear Fit 2. Now Evan Blass has posted a photo of the new Gear Fit 2 on Twitter, the device will come in three colors, black, pink and blue. We previously heard that the Gear Fit 2 would come with a 1.84 inch AMOLED display and that it would feature 4GB of built in RAM, the device will also have an IP68 rating for dust and waterproofing. Samsung have yet to officially announce their new Samsung Gear Fit 2, as soon as we get some more details about this new fitness gadget, including a launch date and pricing, we will let you guys know.